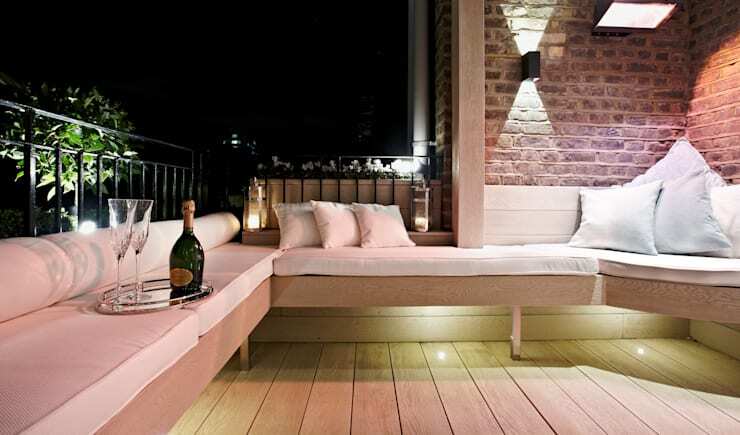 A balcony is unequivocally a desirable luxury when living in a large and overcrowded city. In Hong Kong, your balcony is your slice of outdoor life beyond your confining and often cloistered four walls. A neat exterior space is ideal for breathing a little fresh air, relaxing in the afternoon sun, or hosting a casual get-together with friends. 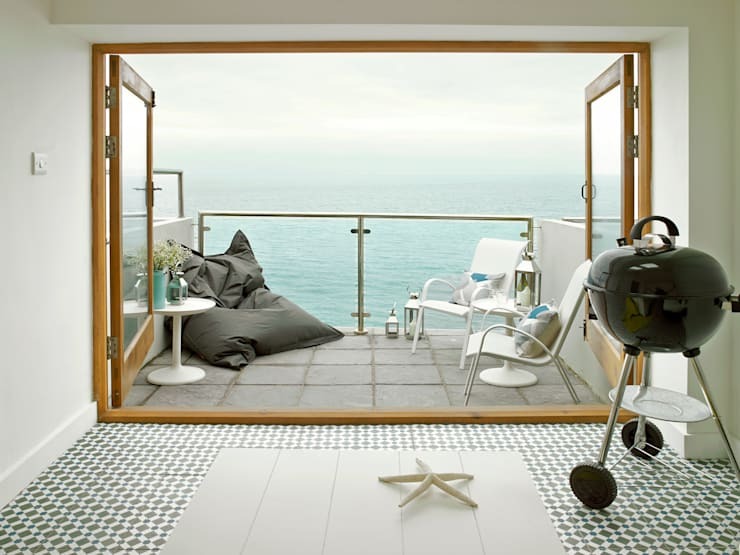 However, in order to maximise your balcony’s efficiency and versatility, you need to ensure it is organised. 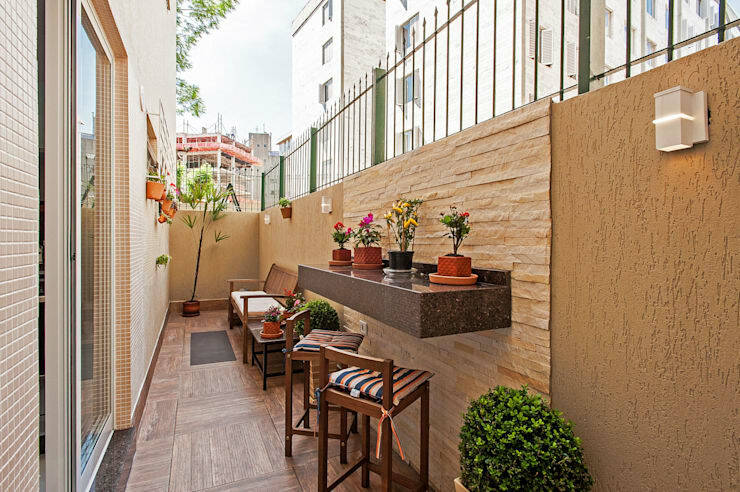 Organising a balcony can seem a daunting and challenging task, especially if it has become a dumping ground for a spillover of domestic miscellany. Even if your balcony is unbearably minute, with scarcely enough room to step outside, we’ve got some handy tips for you. Read on below to learn more about expertly organising your precious outdoor area! Firstly, we are looking at organising outdoor linen. Balcony linen generally requires replacement every so often, and in organising and auditing your space, you should look at what has become shabby and unusable. Seat cushions, pouffes and outdoor rugs are commonly used, so pay particular attention to these items. Multi-purpose furniture is a great way to organise your outdoor space, while also ensuring it is functional and versatile. Look for pieces such as the example above, which offer storage space, as well as numerous configurations. This point is particular applicable if you are working with a compact balcony space that could potentially become overcrowded by freestanding furniture Go bespoke and add some custom pieces into your area, ensuring it is both stylish and highly organised. 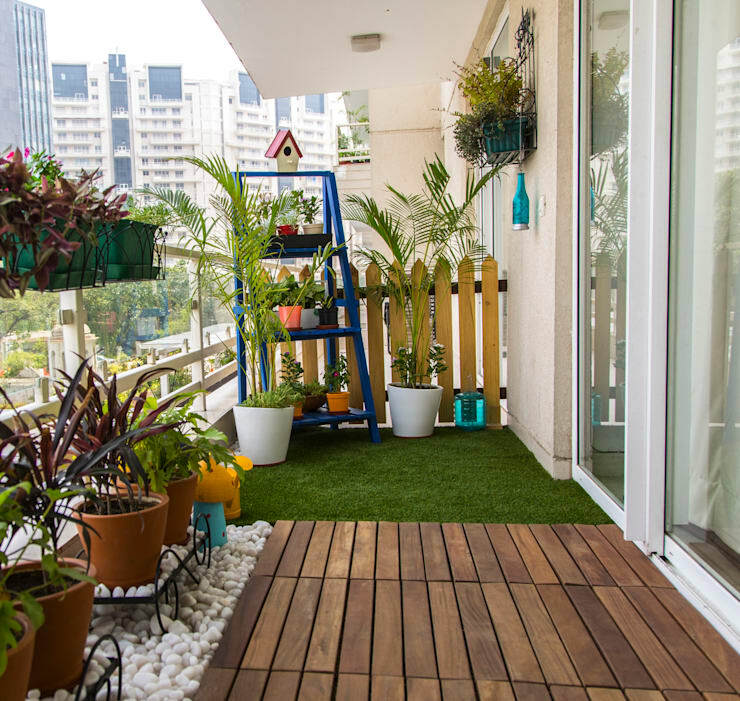 Sure, balcony flooring doesn't seem like it is important in the grand organising scheme, however, it is the base of your space, and should be functionally clean and effective. 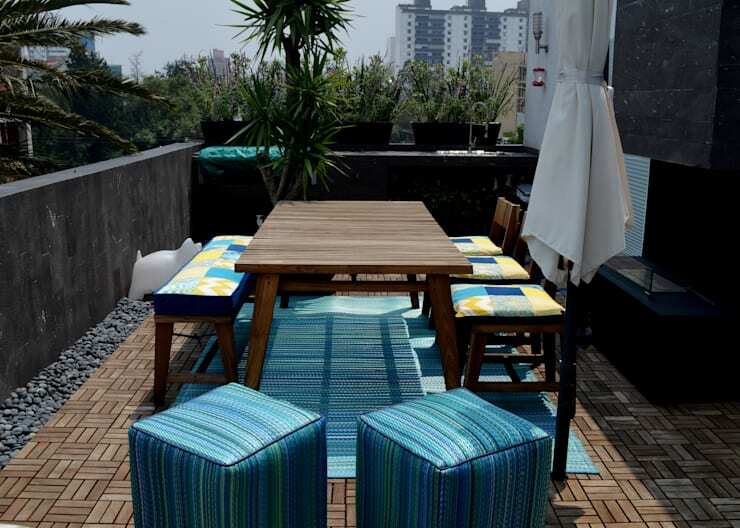 If your flooring is shabby, it's highly likely the organisation within your balcony will suffer. If you need extra assistance designing your balcony, chat to a professional and get the right advice, as well as some handy tips and tricks. To organise your balcony, keep your plants off of the ground by hanging them. 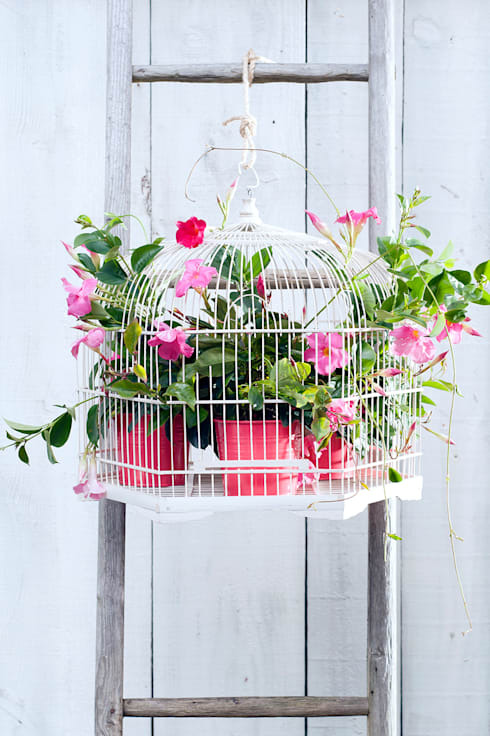 Look for vintage birdcages, or neat contemporary designs, and keep your space tidy and chaos free. 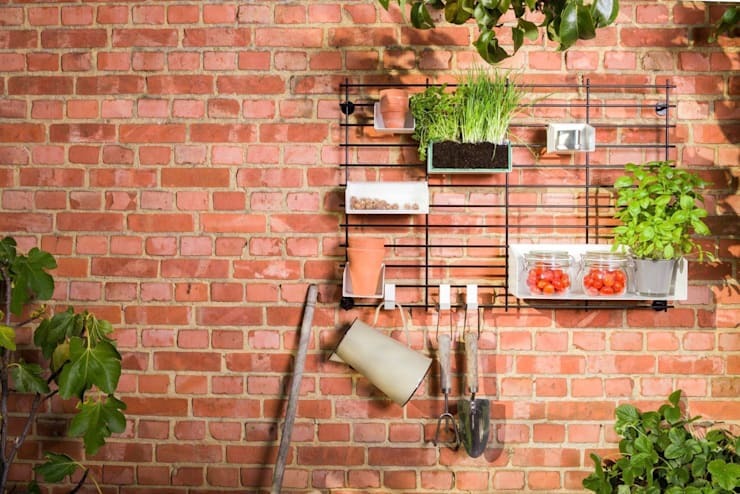 Similar to the aforementioned point of hanging your plants, you might want to additionally consider a wall mounted shelf system to organise your greenery. This could also be used for other domestic items such as ornaments and decorative features. Time to audit your space! Toss any unneeded items, and only keep what is absolutely necessary. Look at removing unessential furniture and accessories, retaining pieces that you commonly utilise and enjoy. Take some cues from this gorgeously neat and tidy balcony, which has narrowed its contents down to the absolutely essential amenities. Tables and other items of furniture are breeding grounds for mess to gather. Forego your table, and instead consider wall-mounted options that will keep everything neater, while also looking fabulous. Wall storage is the first step in getting everything off of the ground, and onto a suitable shelf-like space. 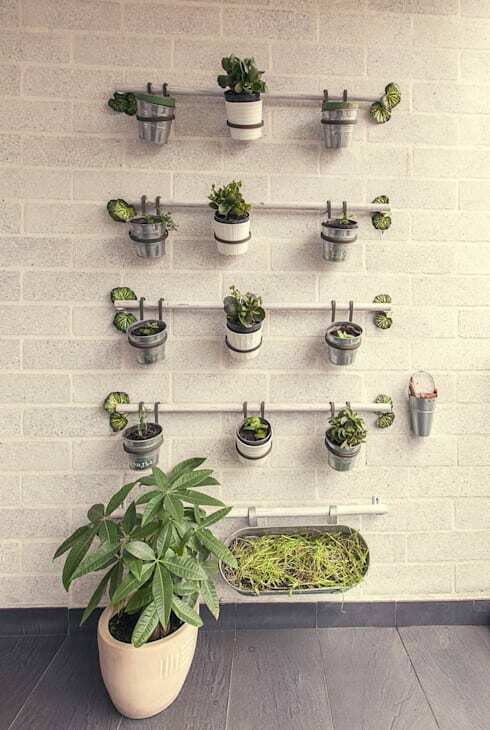 Hang your tools, watering can, herbs and much, much more, with a a delightful design such as the example above. We hope this Ideabook provided you with a few handy hints and terrific tips! If you would like to continue reading, check out: Suffering from mosquitoes? 6 ways to beat them! How do you organise your balcony? Let us know by leaving a comment below!